The internet is a great avenue to sell just about anything you can imagine, in fact, maybe even anything at all you can imagine! Of course, we will stick to legal topics but that is not to say even the most insane things cannot be sold online for a price. Ordinary people who have hobbies such as candle making, wood crafting, or all sorts of other activities need a platform in which to sell their items. Many people go the route of eBay or Amazon, but ideally having your own online store is really the fastest way to get your items sold. However, just having an online store is not enough. There are many things you must consider when getting started. Selecting the best hosting plan can be easy when you know what attributes to look for in a plan. Disk space, bandwidth, database management, installed applications, customer service, and guarantees are all important aspects to consider. In addition, price plays a role in determining the overall affordability of a hosting option. There is no one-size-fits-all solution in the web hosting industry; different types of businesses may find that certain types of hosting environments suit their needs more efficiently. For example, a site that sells products internationally would probably benefit from an ecommerce plan that includes integrated shopping cart solutions, while a start-up hosting intermediary would want to opt for a reseller plan that allows for plan creation and management. You may not realise how important the content you place on your online store can be. It is one of the most important aspects of your online store as a matter of fact. Content, meaning articles you have written, is what search engines such as Google will pick up on. Sadly, some webmasters think they can just post any nonsense, cram a bunch of keywords in, and “voila,” their site will automatically hit number one in the SERPs (search engine results pages). It is not like that or everyone would be at the top. There is a perfect formula and keyword ratio, as well as long tailed, or LSI keywords that can be used. However, Google will not pick up gibberish as it once did. Today, the focus is on having your keyword ratio in place, whilst still having quality content on your site. When your online store is new you want people to find it, at least this seems like it would be your main goal. There are many directories out there like Yelp and Google Places that will help people find your store faster. You might also see about looking into some review sites and having your store listed there. Social bookmarking sites like SocialAdr are also great methods when used correctly. You might also find some blogs and see about linking your store to them. Just be certain you do some homework and find the best method of linking your store for optimum traffic. “Google will not pick up gibberish as it once did. whilst still having quality content on your site.” VERY TRUE ! 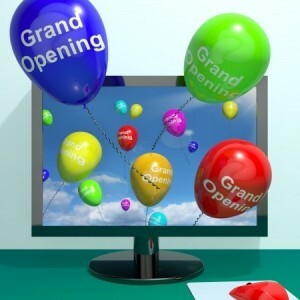 To kick start a new open web business.